If you haven’t recognized the surge of conversations and bickering about race lately you have either been ignoring it or have living under a rock. For most people, having a discussion about race relations is the equivalent to standing in a public place with twenty people where there is a remarkable stench, but no one wants to be the one to say aloud that the room stinks. Talking about race stinks, but it has to be done. Despite the front-page awareness brought by the deaths of Michael Brown in Ferguson, MO and Eric Gardner in Staten Island, NY, there’s one place that has yet to directly embrace the discussion. Members of various cultural groups may not want to be assimilated, they want their tastes, looks and texture to remain whole. These present a sanitized and easy-to-deliver message that diversity and inclusion can be learned by all employees in a few hours. Yet they never mention the phrase, Race Relations. Jews are great with money; Blacks are great at sports. The bigger question is where has all of our diversity and inclusion training gotten us? As HR people, have we had the truly difficult conversations surrounding race or have we just chosen to do what’s comfortable for everyone involved – the 50% solution? I can comfortably say we have done the latter. We’d much rather have employees overhear the whispers in cubicles or the clandestine rumblings about race at the water cooler than to have an open and honest discussion in the context of our corporate mission and values. When we speak about diversity and inclusion in the workplace, we usually give it the backdrop of tolerance. We can’t make people love one another but is tolerance of one another enough? Our sentiment is that just as parents teach their kids about racism so does a company “teach” its employees how to treat those from other races within the company. However, you can’t have bigots “protectively” draped in the veil of Human Resources prancing around your organization. It doesn’t work to insulate racially insensitive behavior because as we are witnessing, racism always manages to rear its ugly head. Take Sony Pictures: None of those fools saw a hacking of their emails coming and so they happily cracked racial jokes about the President of the United States along with bashing other notable artists. Where was HR? It will be interesting to see if and how their HR department deals with the racial joking in the context of any policies they have on the books. The likely scenario will be that the public will play the role of HR and “force” Amy Pascal to resign because the public remedy of chopping off the head of the stinking fish – at the expense of fixing the deeper reason for the stench – carries more weight to company “leadership” than addressing the issue as a violation of a company policy which of course is predicated on the presence of an actual company policy that deals with racially charged actions. Working in HR, we have found out that policies stating that there is “Zero Tolerance” for discrimination and/or racist discussion in the workplace are bull. While most companies have them to cover their behinds, HR issues such as internal inequity run rampant with minorities making disproportionately less money than their white counterparts (want more? search for “do minorities earn less”). Zero Tolerance policies notwithstanding, employees in general are free to spew their racial epithets company-wide, because they can without any significant repercussions. Heck, kindergarten children who point “finger guns” at other classmates are suspended more frequently than employees sending around racially-insensitive emails! We have a major issue in the US around race and it has been fermenting in business and the workforce for a long time. You can thank race relations for your EEO-1 reports, for your Affirmative Action Plans, and for all the data you have to collect to prove your applicant pools have adequate ethnic and racial representation. As our colleague and friend, Ron Thomas recently said in his article “Breathe Deep” about the world’s view of business and HR: “Every race imaginable, every language imaginable and everyone is too busy with their lives to get caught up in this racial mindset. We are too busy doing business to get caught up in this US kind of thing.” His point-of-view is framed by his relationships with business leaders in Dubai where he currently lives and works. 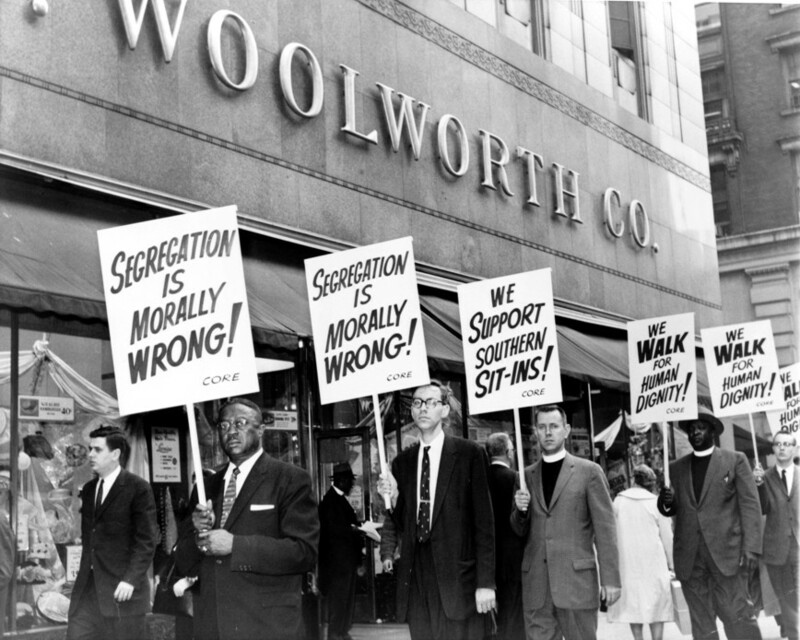 If it is explicit (meaning in policy and action) that racism and/or discrimination will not be the basis for any business decision in company “X”, employees have three choices, (1) they can resign and find a company where their bigoted ideas are supported; (2) they will act accordingly and ensure that all people are treated fairly; (3) or they will be fired. Zero Tolerance should really mean Zero Tolerance. However, anti-racism policies alone are not sufficient to solve the core problem. The real issues are Action and Accountability. Given the events of gross police misconduct in Ferguson, MO and on Staten Island, NY, are HR and C-suite leadership any more encouraged to offer corporate solutions for addressing race relations in the workplace? It is important to throw both company leadership and HR out in front because it stands to reason that the current model of HR wouldn’t write a policy or create education that will change this racial trajectory if it isn’t supported by leadership. Much of the undercurrent of annoyance and fury surrounding the recent killings of black men in the media are not just about the killings, but how it is rooted in a build up of injustices felt in every corner of society by every category of a workplace EEO-1 report. Monochromatic leadership with monochromatic workforce planning when combined with the fear or inability to discuss complex socio-economic issues has led to an uneven playing field when it comes to the differences of upward mobility and opportunity for both whites and blacks. We’ve steered clear of the word minorities as it is an all-encompassing “safe word” that frankly allows us in HR to downplay the impact our policies, procedures and ideals have on specific groups of people. With Diversity and Inclusion training, task forces, affinity groups, and even people of color on Boards of Directors, it sure sounds like we’re being inclusive when in reality the sanitization and compartmentalization produces even further misunderstanding and pushes conversation farther back into the closet. Both of us have very strong ties to law enforcement; we’re quite aware that the job is dangerous and we do worry about our friends and family coming home every evening. We also know how hard-working, conscientious, and fair most of them are. It’s a small percentage of police officers who cross the lines into racist action, much in the same way we suspect that a similar percentage of companies create a culture of racism with divisive C-level leadership and non-existent HR oversight. While “leaders” have created the problem, within the workplace, HR should have the knowledge, influence, and ability to change the deeply ingrained culture that is responsible for enabling the racism. Our thesis is that racism in the workplace continues to undermine the very purpose for why we exist in organizations and in so many instances HR has taken the easy way out. When the death of black men in Ferguson, MO, on Staten Island, and in stairwells takes place so easily, then it really does become time not for a national discussion of race in America but a national call to action and change of culture. Surely we’re not naive to believe that either discussion or action will eliminate bigotry but since we’re in a profession that purportedly cares about the workplace, it is time to mobilize a new Human Resources to create new deliverables about Race Relations. The workplace is not a community that sits on an island cordoned off from society but is in fact a microcosm of society. HR has failed either by fear, ignorance, or some bizarre take on professionalism to address racism in the workplace. If employees are the heartbeat of the company, then for certain HR is the pacemaker – and it’s time for some serious surgery. People are now marching on the streets across the country – and it’s calling attention to racism in America but it’s time for HR to march into boardrooms. It’s time for HR to lead the discussion on racism at work, not as means for attaining a certificate of completion for diversity training but with a goal of creating a culture and all the necessary elements to root out racism in the workplace. It’s time for HR to look its recruiting and retention practices to see if we’re “bringing” racism into the workplace with bad hiring and “promoting” racism with bad management. If all this talk about racism makes you uncomfortable to think or speak about, think of your “valued” employees who endure these racially-charged emails, water cooler jokes, and I-know-why-you’re-here smirks because you failed to create a culture that supports the value they bring to your company. If your talent chooses to leave or you can’t attract the best and the brightest because your company’s HR policies, procedures, and people aren’t fair and supportive, do you know what that makes you? It is so cliche to talk about speaking “outside of your comfort zone,” but that is exactly what we need. That is easier said than done. We don’t talk about it for several reasons. Perhaps a blog post of my own about my personal experiences as a race relations/equal opportunity officer while serving in the military would help someone, but mostly it would be perceived as a self serving, self righteous commentary that begs the question about “Look at me. I’m not a racist.” If you know me, you know the answer to that, but much commentary like this is a matter of misconception and misplaced perception than it is a benefit to society as a whole. Talking about race relations is not usually a lens focused on the problem, but a mirror that reflects the speaker’s bias. Are any of us perfect? Is that why we are afraid to talk about it? Is there some hidden bias that we don’t want others to see? One of my pet gripes as a white male is that many black’s have a preconceived notion as to how I think. Please, let me know how I can honestly contribute to a discussion about race relations without playing on a level field. When we arrive at that answer, we can begin to fix things. Does it only take the courage to speak out? I think not. It takes the courage to listen as well. Outstanding post! I am proud of you for writing this and addressing the issue head on–well done. I will pass this on to my network. Thanks for writing this profound post.